Spores of five Laminariales from Arctic Spitsbergen were exposed in the laboratory to photosynthetically active radiation (PAR; 400–700 nm), PAR+UVA radiation (UVAR; 320–400 nm) and PAR+UVAR+UVB radiation (UVBR; 280–320 nm). Subsequently, germination was monitored over periods of 3, 6 and 9 days. The investigated species were the upper sublittoral Saccorhiza dermatodea, the upper to mid-sublittoral Alaria esculenta and Laminaria digitata, the mid-sublittoral L. saccharina and the lower sublittoral L. solidungula. The germination capacity decreased sharply after 16 h exposure to PAR+UVAR+UVBR in all species. However, S. dermatodea was able to recover from the damaging effects of UVBR. There was also a small increase in percentage germination of A. esculenta 6–9 days after the treatment. No recovery was evident in the other species. After 8 h exposure to PAR+UVA+UVB, L. digitata recovered completely, and L. saccharina and L. solidungula, partially. The only species susceptible to PAR+UVAR was L. solidungula. One prominent cytological feature of UVR-exposed spores was the enlargement of phenolic vesicles (physodes) (particularly seen in S. dermatodea and A. esculenta), which may have a protective function against UVR. Pilot experiments under natural irradiance conditions indicate that the PAR component of solar radiation exerts an additional stress. 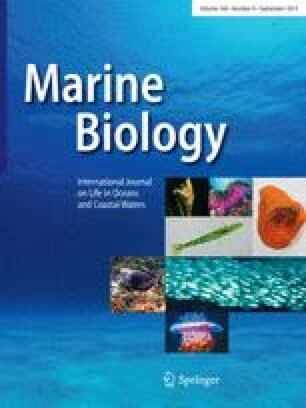 Overall the data show that zoospores of the species from the upper sublittoral are less sensitive to UVR or have the capacity to recover from UV stress in contrast to species from deeper waters, probably due to their UV protective and repair capabilities. This work was performed at the Ny Ålesund International Research and Monitoring Facility on Spitsbergen (Svalbard). The authors are grateful to M. Schwanitz, C. Daniel, M. Assmann, H. Wessels and H. Schmidt for providing samples by SCUBA diving, as well as to the staff at Koldewey Station, especially H. Pötschick. The experiments comply with the current laws of Germany and Norway.